With Christmas getting closer with every day, it’s time to think about getting some presents! We know, some of you love doing this, but in the same time, they hate spending time in crowded shops, struggling to find the best offers and, the worst part, waiting even for hours for their turn at the cashier. Fortunately, technology comes in handy, making everything a bit easier. Check out our selection with the best Android apps for shopping and you will definitely find one that will help you get the perfect Christmas gifts! 1. RedLaser – Let’s say that you find something you really like in a store, but you don’t know if that product is worth buying or if you can find it for less money in other place. This is where RedLaser comes in, as with a simple scan of the product’s barcode you will gain access to a set of reviews and, most important, you’ll see the prices from all important retail stores, so you can get it for less money. 2. ShopSavvy – If you’re always looking for the best deals, this is the app you’re looking for! Simply set an alert and the app will notify you when new deals for the products you’re interested in are available, so you can be the first one to get them. Everything is updated in real time, so you won’t miss anything! 3. RetailMeNot Coupons – With an offer which includes coupons from over 50,000 retailers, this app just can’t be ignored when it comes to saving money. Save your favorite stores and set alerts for when new deals are available or for when your coupons are about to expire. Most stores have great offers for Christmas, so get this app on your phone now! 4. ShopAdvisor – When shopping, everybody is looking for the best price, checking discounts and offers, but this can be very tiring sometimes. What if we told you that this app can do it for you? ShopAdvisor follows the prices for you and it’s able to tell you when an item is available for the price you’re willing to pay. It also has an included item scanner, so you can quickly find all the information about it, so it’s a must-have app for the Christmas shopping season. 5. 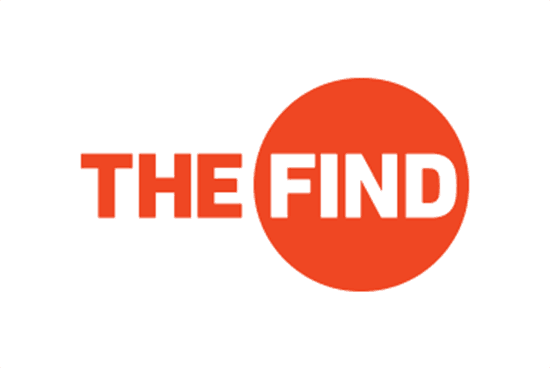 The Find – The main advantage of this app is that it finds only nearby details, if they’re available only, so if you find something interesting, you can quickly go to the closest store where this is available and get it. Pretty cool, right? Also, you can set an alert for when the items you’re looking for reach the perfect price, so you can save some money too. And these are the best Android apps for shopping in our opinion, which should help you save some time and money when looking for the perfect gift. If you know any better ones, don’t hesitate to tell us about them, using the comments section below.